Sunscreen – Everyone should be wearing an SPF on their face every single day. We have eight different sunscreen options at neoSKiN and I will recommend whatever one makes you put it on every day. That may mean one that’s mattifying, good for an oily skin. It may mean you buy the 50 SPF mineral sunscreen which is good for someone who is undergoing laser treatment or who is an outdoorsy person. Or it may mean a tinted SPF. The best sunscreen is the one you will actually use. I am using Ultraceuticals Hydrating Ultra Protective Moisturiser SPF 30+. 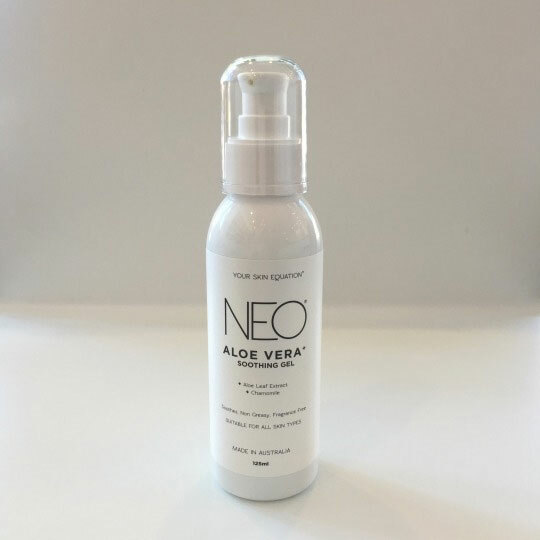 NEO Aloe Vera Soothing Gel – It’s great after a day in the sun. I cover myself; it’s cooling, soothing, hydrating and not greasy. Aloe vera penetrates and leaves no residue on your sheets and this product also has chamomile so it helps to reduce redness and irritation. Slip silk pillowcase – When you’ve got the curls and the beach hair these mulberry silk pillowcases are great for keeping the curls in place… and the wrinkles at bay. None of that “sleep crease”. 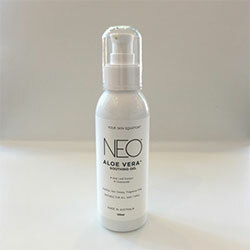 NEO Smooth – This is a good product for people who get those little red bumps on the back of the upper arm. Using NEO Smooth every day helps to take down the redness and the bumps; great to use over summer when you’ve got your arms out. All products available at neoSKiN clinics.